This beautiful manor has a traditional elegance characteristic of its centennial age. 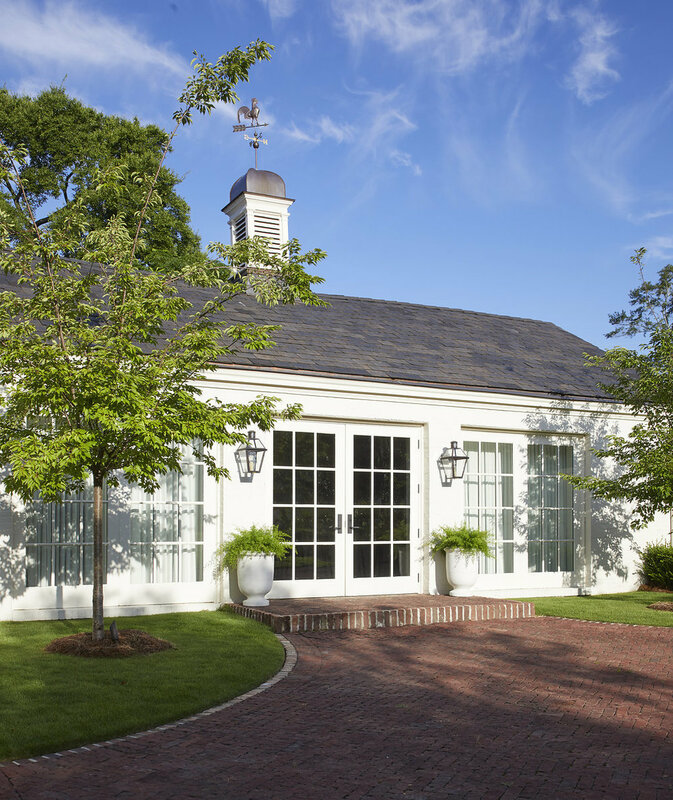 For this project, we felt it was important to pay homage to the home’s past with a garden space that was both timeless and livable. Lush ferns fill the custom concrete planters built to fit between the columns of the expansive porch. A new stone footpath lies where an unused driveway used to exist. 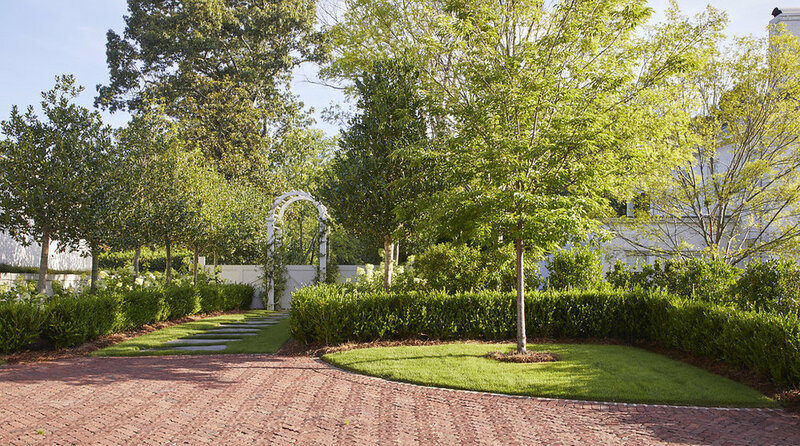 We reused pavers from the original driveway to create the herringbone pattern of the walkway, which leads through the arbor to the backyard. The poolside features locally-sourced FireRock oyster pavers and additional custom planters. 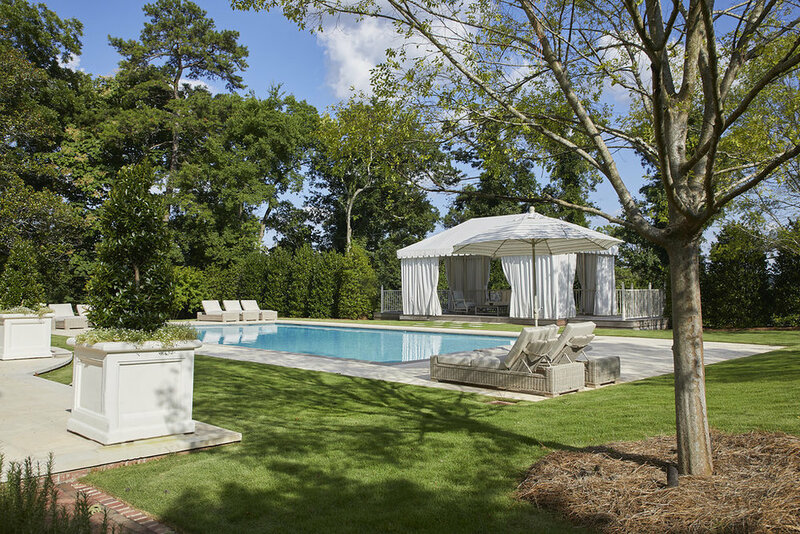 The big, open yard provides plenty of room for the owners’ four daughters—plus all their friends!